As part of my “get ready to live on a boat” process I’ve been looking up fish recipes that I imagine will be easy to cook while on board. Since every sailing book I’ve read has been able to enjoy fresh tuna steaks I thought that was a good place to start. I found and adapted this recipe from Epicurious. Coarsely grind peppercorns with mortar and pestle or use a grinder like me! Sprinkle each stake with about two or three turns of both salt and peppercorn on each side. Press spices into the steaks. Heat oil over medium-high heat. Let it warm up until it *shimmers*. Sear tuna, turning once about 3-4 minutes or so on each side. Exact cooking time will depend on thickness of steaks, but you want them to be medium-rare. 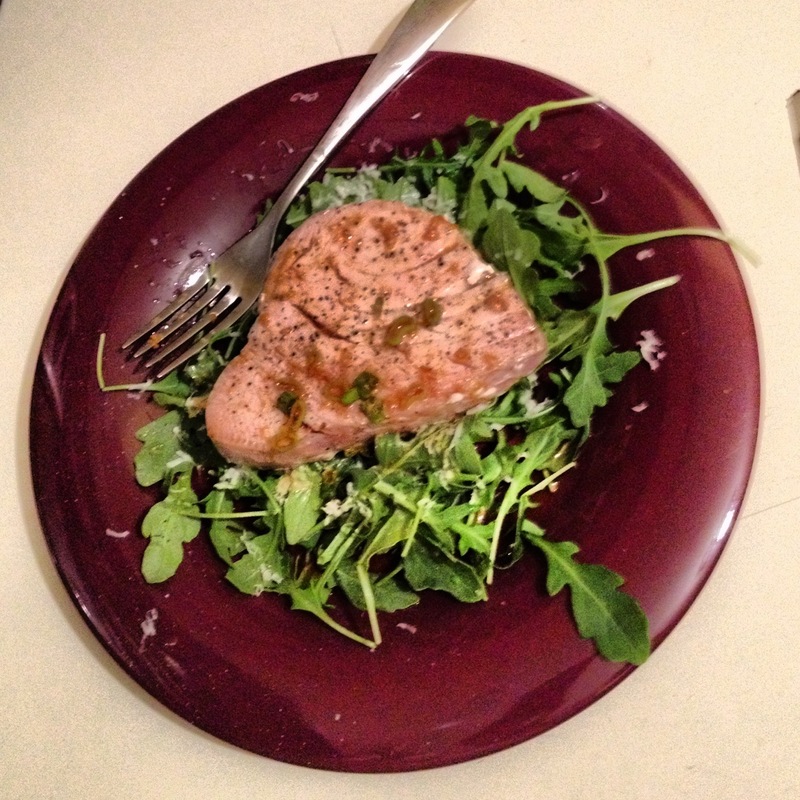 Serve over a bed of arugula. Finish with the dipping sauce. Easy AND delicious. I definitely plan on making this while we’re living aboard Chance.